Subject: Picture of my new stone 60"
Attached is a picture of my new 60" with Amish fieldstone firebox and surround. I have since made a vertical grate to keep the logs off the back wall after a few stones ruptured. The grate has worked well. 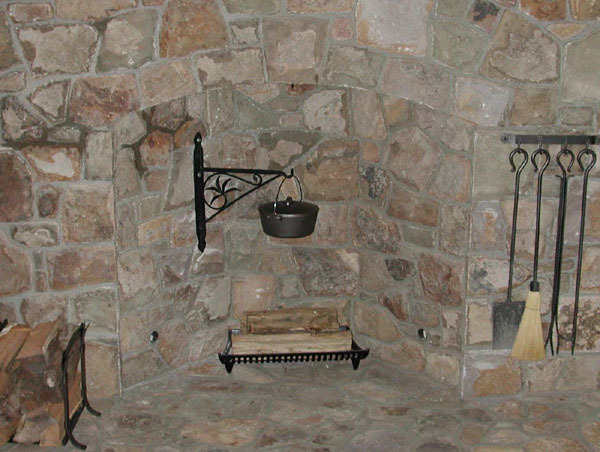 I actually removed the firebrick I first built the fireplace with and installed fieldstone in the firebox. No regrets.